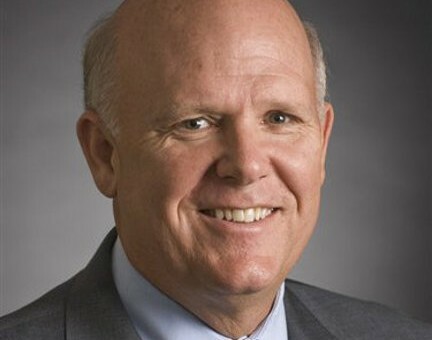 This is the week when Dan Akerson officially takes the helm as CEO of General Motors, replacing Ed Whitacre. In hindsight, the timing was fairly predictable, although not many expected it. Whitacre was never intended to lead The General’s charge for the indefinite future, as his task was to restore the company back to profitability and, given the past two quarterly earnings, he has succeeded. The GM board of directors, on which Akerson has served since July 2009, knew they would need to officially reveal the next CEO. The job required somebody who could successfully market the company to potential investors when it was time for the all-important Initial Public Offering (IPO), something Akerson is more than capable of: he has the attributes that should sit well with the wealthy crowd, given that they didn’t watch their previous shares of GM vaporize through bankruptcy. At the age of 61, Akerson has had a decorated career. He is a former naval officer, where he earned the reputation for being a results-driven individual. This is a quality GM needs when it comes to attaining our favorite automaker’s goal in the short- and long-term. Akerson later earned his master’s degree at London School of Economics. He eventually went on to lead telecom giants such as MCI, Nextel and XO Communications. He’s also quite the mover and shaker in the financial investment community with the Carlyle Group, which he has been with since 2003. Before taking on his position as CEO, he was the managing director and head of global buyouts for the Group. The experience and connections he has gained through working with The Carlyle Group will no doubt aid Akerson in pitching GM stock to first-round investors. The Carlyle Group was ranked as the largest private equity investment group in 2007 (during Akerson’s tenure) and its portfolio of firms employs over 415,000 people worldwide. Akerson’s private equity experience grants him respect in the investment cliques (a.k.a. Wall Street) and brings outside knowledge, point-of-view, and experience – attributes that GM veterans may lack. And while, at the age of 61, he may seem ripe for retirement, he is still young and energetic enough to hang around the halls of the Ren Cen for a while. He is also known to politically lean the conservative side. Unfortunately, one of the drawbacks of yet another new CEO at GM is employees’ fear of even more change. Many significant shakeups and executive shuffles have occurred within the year GM has exited bankruptcy and another one could be only days or weeks away now that Akerson has take the reigns. However, outgoing CEO Ed Whitacre has vouched for Akerson – claiming he is ready to lead the company and that he already knows GM well, having been a member of the board of directors of the New GM for about a year. An executive of a GM supplier commented that – above all else – the automaker needs stability in the executive level right now. Hopefully, Akerson can provide this stability and be the last new CEO for the next several years to come. Because of your recent statements regarding increasing the tax on gasoline I will never knowingly purchase any product manufactured by General Motors!